Tribute was made by Alex Thomson to Dr Kirsty Muirhead for service to the community. He began by outlining Kirsty’s background and career in medicine. Originally a practising junior doctor at the Victoria Hospital in Glasgow and a haematology specialist at the Western Infirmary, Kirsty later moved to Ayr to advance her other specialism – palliative medicine. It is through her dedicated work in this line at the Ayrshire Hospice that Kirsty is best known to Rotary members and she has recently been an excellent guest speaker at one of our club meetings. Our own Charlie Steele was praised by Alistair Tyre for his outstanding service to Rotary. Charlie’s degree in business studies equipped him for an interestingly varied career path leading ultimately to his present day occupation running, along with his wife Hazel, a successful guest house in Ayr. A period spent in Turriff, Aberdeenshire, saw him joining the Round Table gaining a dispensation to remain a member for an extra year after his 40th birthday. 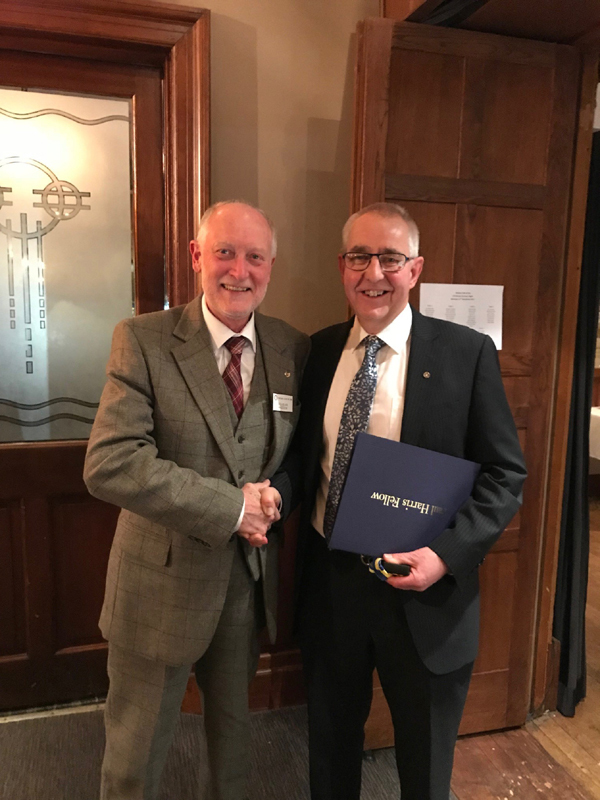 When he and Hazel moved to Ayr he joined our own Rotary club where his business and IT skills have proved highly beneficial to the club; in Alistair’s words he has developed a club website which is regarded as “the best in the west”. 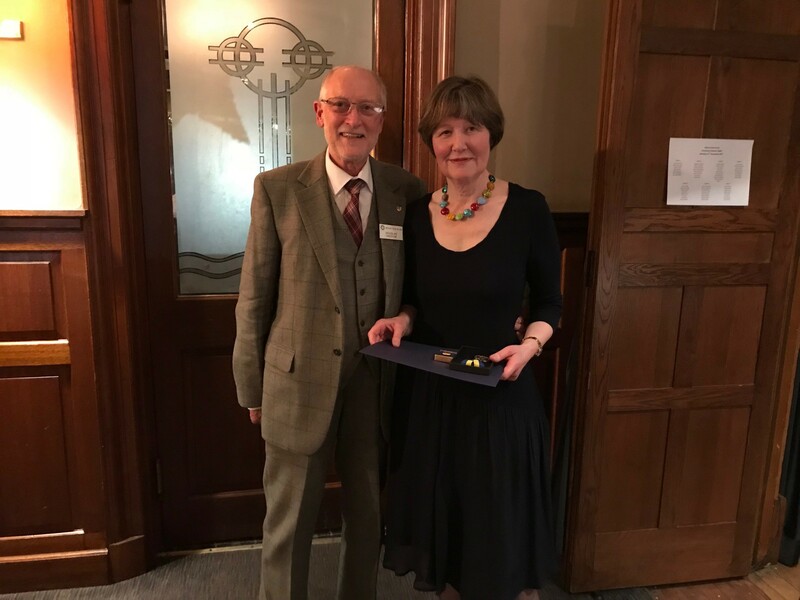 In addition to that he has been responsible for setting up the Rotary’s admirable Ayrshire Coastal path website and for many other contributions, too numerous to mention, to the running and effectiveness of our club. He has also helped several other local organisations including ABBA (Ayrshire Bed & Breakfast Association), Ayr and Alloway Curling club and local churches. Past-president and MC for the evening, Douglas Haddow, presented both recipients with their awards.